My father and grandfather introduced me to fishing when I was just five years old. We fished mainly on canals, sometimes in club competitions and my first win, against the seniors, came when I was seven on the Trent and Mersey Canal at Colwich near Rugeley. I competed regularly on the club circuit in my teens before eventually progressing into top-flight open match fishing at the age of 21. Many open match wins at the highest level followed as well as two Anglers Mail Kamasan Matchman Of The Year titles. I was fortunate enough to be selected to represent England in 1987 for my first Home International. I went on to compete at full international level, winning gold and silver medals in World and European championships as well as successfully competing in more Home Internationals over the following ten years. The highlight for me was winning a team gold medal in the European Championship in 1998. On the team fishing front, I have represented two of the best teams in the country – Shakespeare and Starlets – and learned much from quality anglers in both of those teams along the way. National titles and many other team wins have been an additional bonus! I am still competing at a very high level on a variety of venues and also enjoy pleasure fishing whenever I get the opportunity, both in England and abroad. 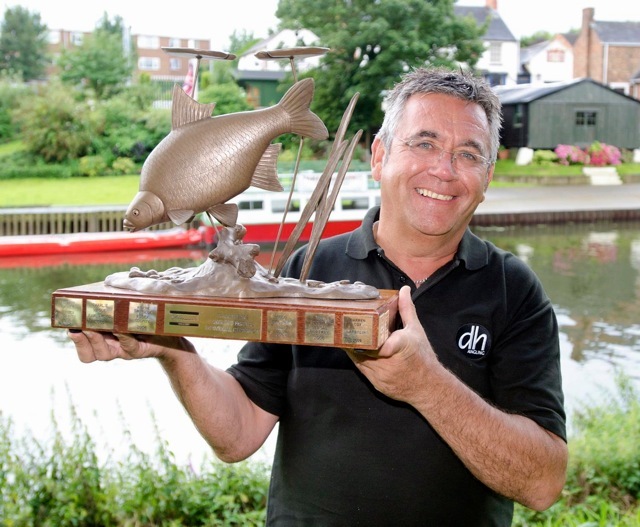 In 2011 I achieved a long held ambition by breaking the River Severn match catch record with 213lb of bream on the feeder. Prior to this I held the Severn float match catch record with 93lb of barbel from Bridgnorth. My favourite ever matches include catches of 166lb of roach in Ireland and 114lb of dace from the River Wye, a world record dace catch! I have written regular features and diary columns for magazines since 1984 and have also presented many instructional coarse fishing videos. In my working life a mainly sales related background changed direction in 1989 when I created the Midland Angling Products (MAP) brand. I did all of the product development for the company, which included rods, luggage and various accessory products. The company was eventually sold and I then worked in publishing as a Group Editor over two angling titles for seven years before returning to the tackle industry in 2011. Many years have passed since my first introduction to fishing but the passion now to get out on the bank every week is as great as it ever was. That long running love affair with the sport has resulted in a knowledge that can only come with experience and it is now allowing me to develop fishing tackle that is perfect for the job it is intended to do. I hope you enjoy using it as much as I enjoyed developing it!